For those, who took this course last year, it is the chance to see and share, which of your goals you have accomplished, where you want to redefine, where you need to find a different strategy. "Whether you think you can or think you can't - you are probably right." one is Jon Butcher's "Life Book". He structures your goals in life into 12 categories, and for each of these, you write down your beliefs, vision/goals, motivation and action plan. At the end you sum this up to a "life vision". If you think sharing this process with a team, will be more fun and motivating - then you are at the right place! The 12 categories are: health&fitness, intellectual life, emotional life, character, purpose in life/spiritual life, love relationship, core values/parenting, social life, financial life, career, quality of life, life vision. After that we will have another workshop on setting goals and taking action. We meet every Tuesday for the next weeks and share our thoughts on one or several of the topics. When we have our "life vision", we can still meet once a month to share, support and motivate each other- to stay connected in a network of powerful goal achievers. 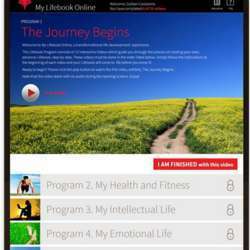 1) You join Jon Butchers online course "Life Book" - jonandmissy.com- This will get you videos to all the categories, where he talks about an hour about beliefs and strategies for each topic. Why am I organizing this? (No, I am not getting any money from Jon Butcher.) I want to be part of a network of empowered like-minded goal setters, who live life to the fullest! And I hope I will find you via these activities. Who do you want to be for others that look up to you? What values do you want share and live? If you have or want children, or participate in the raising of your godchildren/nieces/nephews/friends' kids - what values do you want to teach them? How do you want to interact with them? 1) What are your beliefs about each category- and do they serve you? 2) What is your goal, your ideal vision? 3) Why do you want this, what is your motivation, that will pull you through? Put this in writing: at least one bullet point or sentence for each of the four questions. We will share what we have written (of course only the parts you are comfortable sharing) - a rough time frame is 10 minutes per person for reading and questions / advice from the group (roughly half/half). We try to be respectful of your time, so that we greet and order drinks/food (as a courtesy to the restaurant we get to stay in) within the first 10 minutes and then start sharing; we finish at 20:30 / 21 the latest. Then whoever wants to stay longer and chat some more, is welcome to do so.